It's often said that a writer who sits around waiting for inspiration to alight on her shoulder like a luna moth will not end up writing very much. I know the point is to encourage us to seize raw material and shape it no matter how lumpy and imperfect it seems at first, to urge us not to be too precious about our writing. There's definitely something in that. And yet, there are ideas that jump into the brain, seize it, shake it. There are stories that cannot be turned away anymore than they can be forced. There is such a thing as inspiration. Perhaps it's just a case of keeping lines in the water until that fish bites. The magic idea that seems to come from nowhere has actually fed on months of patient work. It stays because at the moment it wings in, there is a writer waiting there to meet it. Maybe the aroma of good honest sweat is what draws the fairy godmother in. When it happens, it can't always be explained, but it's one of the pleasures of writing. In the past couple of weeks, I've witnessed a bungled software upgrade that rendered email unusable for a day, a computer meltdown, and a denial-of-service attack that took out a social network for the better part of a week, in addition to the usual random errors, freezes, spam, phishing, and glitches that are a general part of digital life. This was topped off by a total power failure in my neighborhood last night. And let us not forget that one woman with a garden trowel recently took out the internet for most of Armenia and parts of Georgia and Azerbaijan. I wouldn't call myself a Luddite, but let's just say I have a healthy amount of caution about Our Digital Future, and based on what I see all around me, I think that caution is warranted. I'm not throwing out my candles just yet, 'sall I'm saying. But the power failure had one good effect on my writing: it gave me an excuse to step back and let my current work-in-progress marinate. I could have written something in longhand, but I had reached a point of frustration with it, a murky patch where I couldn't see the way forward, and the direction I thought I needed to take was resulting in scenes that were either boring or overwrought. Instead of wrestling with it again last night, as I surely would have if we'd had power, I stepped back from it. Of course, I could stepped back without a power failure. Let's see if I can remember that next time. Today's guest post is from Bryan Cohen, blogging about why romance doesn't have to be forbidden. Also see the details about his new book, and his Amazon giftcard giveaway. I know that several of my readers will appreciate the references to Friday Night Lights! It seems like every story about the paranormal or otherwise is spinning a yarn about forbidden love. From Romeo and Juliet to Twilight there are endless tales of two people dating that shouldn't be together because it seems like the whole world is against them. It's almost like these stories are telling us that the hardest part of a relationship is getting together, when it couldn't be further from the truth. In the television show "Friday Night Lights," the few who were fortunate enough to watch the five seasons of small-town Texas glory saw one of the most realistic relationships ever portrayed in fiction in the marriage of Coach Eric Taylor and Tami Taylor. While many who viewed commercials of the show thought it was "that football show," it was really the Eric & Tami Taylor show and it was absolutely brilliant. The members of a couple can fight and still love each other. They can compromise and they can raise a family through tough times and still survive. There was no need to throw in any wild affairs in the plot, because you never would have believed they'd cheat on each other regardless. The one time that a drunken co-worker kisses Tami, the two of them laugh the encounter off and turn it into a joke. This is truly a couple that is the opposite of forbidden love. I don't want to spoil too much about my book, Ted Saves the World, but I have also dispensed with the concept of forbidden love. The characters that have a thing for each other, don't really have anything standing in the way of their romance. As the series progresses, however, we don't have a forbidden love situation (since that's boring) but we have a moral conundrum: what if the girl you've always loved was taken over by an outside force? Would it be wrong to kiss her and be with her if she isn't the person you fell in love with? It's supernatural and philosophical, but it isn't forbidden. I'll leave that kind of love story for the other authors. Bryan Cohen is giving away four $25 Amazon gift cards, one for each week of his month long blog tour. To enter, simply comment with your e-mail address (feel free to substitute @ with (at) or other tricks to stop spammers from getting it). Bryan will draw the four names at the end of the tour, picking one entrant at random from each week’s set of blog posts. Entries will be counted through Monday, August 15th, 2011. Enter on as many sites as you want, follow the tour at Build Creative Writing Ideas. If Ted reaches the Top 100 on Amazon at any point during the tour, a fifth $25 card will be added to the giveaway. A possessed cheerleader. A cursed gang of criminals. Mysterious telekinetic powers. An angry ex-girlfriend in gym class? One second, sophomore in high school Ted endures his first breakup in his favorite place in town. The next, a mysterious blue light turns him into a worldwide superhero sensation for taking down a posse of grisly murderers. As his views on YouTube increase and his friend Dhiraj tries to capitalize on the marketing potential, his dangers increase as well when a presumed-dead cheerleader begins taking a personal interest. Can Ted survive his first week as a superhero in the public eye? This novella is the first taste in a series of full-length novels about the adventures of Ted Finley and Erica LaPlante. The book is also available on Barnes & Noble and Smashwords for $0.99. Bryan Cohen is a writer, actor and comedian from Dresher, Pennsylvania. He graduated from the University of North Carolina at Chapel Hill in 2005 with degrees in English and Dramatic Art and a minor in Creative Writing. He has written seven books including 1,000 Creative Writing Prompts: Ideas for Blogs, Scripts, Stories and More. Contact Bryan through his Ted Saves the World blog, his Build Creative Writing Ideas site or Twitter. Tomorrow, I'll be featuring a guest post as part of an author's blog tour. The way this author approached me made me decide to write about approaching potential hosts for blog-tour stops, because he did several things right. The following list reflects my preferences only, but I suspect many other bloggers may share at least some of these preferences. 1. Tell me who you are. This sounds simple, but I get a surprising amount of email from people who don't identify themselves. This is especially important if your email address does not include your full first and last name. 2. Tell me how you found my blog / why you're approaching me. This is especially important if we haven't connected before and you aren't a regular commenter on the blog. 3. Describe your request; also let me know your motivation for being a guest blogger. Maybe you just think it's fun to cross-post with others; I agree, and I've exchanged guest posts for no more complicated reason than that. But if you're trying to draw more readers to your blog, or if you're promoting something, most likely a book--that's fine; you don't have to hide it. It helps me understand where you're coming from, and I actually prefer when those goals are clear and up-front. I look for interesting content in a blog post, first and foremost, but I also expect to show your book cover or bio, or link to your site. If I can't tell what a person's motives are, I'm less inclined to accept a guest post. 4. Show me your material. If we have no prior connection (for example, if we haven't already been commenting on one another's blogs), I will look at your website and whatever samples of your writing I can find to figure out if you're a good fit for this blog. (For that reason, including a website link in your email is extremely helpful.) I blog about all kinds of books, with a bias toward YA. When it comes to writing advice, I prefer a laid-back, "maybe this will work for you" approach. Guest posts don't have to be cookie-cutter imitations of my own posts, but material that clashes with my philosophy or is too far outside my normal range of topics is probably not a good fit. 5. Send me what I need, on time. If I approach someone to be a guest, I'm prepared to do a little more digging and assembling of the materials I want to post (bio, book cover). But if a potential guest approaches me, I greatly appreciate it if that guest makes things easy for me by providing all the materials I ask for, in the format I ask for (e.g., jpeg of book cover, one-line bio). In posting this, I'm not asking to become a big-time blog-tour stop. I might have to say no to a guest blogger (even one who follows all the above steps) just because I try to keep a certain balance in my content, and I don't always have the time, space, or energy to work out a guest post with someone. But the fact that my upcoming guest took the above approach led me to welcome him to the blog. The biggest challenge to brick-and-mortar bookstores will be the convenience of e-books, and the ease of shopping from one's home while wearing pajamas. But there are businesses whose out-of-home counterparts have survived in spite of the fact that there are easier, in-home options. The prime examples of that are movie theaters and restaurants. People still go out to these places for social reasons; they're suitable for dates and for get-togethers with family and friends. Sure, you can watch a movie at home, and you can order take-out food and never leave your house, and both of those things are easier, but we look forward to going out as an occasion. I've always felt that bookstores have a bit of that going for them. Those of us who like bookstores don't just like the shiny covers and the sweet-smelling pages of a printed book. There's just something special about a bookstore as a place, especially if it's a store with comfy chairs. I grew up shopping in mall bookstores--places like Paperback Booksmith, Waldenbooks, Barnes & Noble, B. Dalton. When I moved to Philadelphia, I also shopped at Encore and Doubleday, and later Borders. I always loved book shopping, no matter who owned the store. But when I discovered the independent stores, especially the used bookstores like The Book Trader, I thought I'd discovered heaven. I went alone; I went with friends. One of my favorite kinds of dates was dinner on a summer evening, followed by a sunset stroll during which we'd stop in the bookstore to browse and compare reading tastes. A friend and I make regular trips to Children's Book World in Haverford, and it's a social occasion as much as a shopping trip: we have lunch and then hang out in the store, browsing the stacks and talking books with the staff (who read everything!). I've been to poetry readings and community events at the Big Blue Marble , an independent store with wooden floors, a cafe, and employees who make the store an experience, not just a place to buy books. I've had book-club meetings and discussed staff picks and shelf talkers at Borders stores; I've been to educator events at Barnes & Noble. I've eaten in bookstore cafes. I've been to readings by authors I know personally and authors I only know of through reading their books. I never worry about meeting someone who's running late if our meeting place is near a bookstore. "Don't worry; I can easily kill half an hour in the bookstore!" Everywhere I travel, I try to visit the local bookstore, and I have bookmarks from all over the country to prove it. Every time we're in Portland, Oregon, my husband insists on trying to visit Powell's if we have any free time while the store is still open. To my mind, if bookstores survive the digital age, it will not be because they shift to selling something other than books. It will be because people find these social, interactive aspects valuable. It will be because going to the bookstore is a fun occasion like going to the movies or out to eat. I don't know if enough people out there share my affection for bookstores as destinations, but I guess we will find out. "Livingston's New and Used Books smelled of paper and dust, of old wood that had spent decades near salt water, of the chocolates that Colton kept near the cash register. Livingston's was the kind of store that should've had a cat. It needed a cat so obviously that patrons would creep down the aisles, searching the corners and the highest shelves, waiting for that bookstore mascot to leap down on silent paws. The store did have a copy of Venus de Milo in the corner, a plastic barracuda nailed to one wall, and a stuffed gorilla sitting in a chair by the door, but it was haunted by the cat it didn't have. "You reached Livingston's by following the twisted, tortuous streets of Boston to a dead-end alley. More than one patron felt the thrill of secrecy, as if the shop was their own personal discovery, unknown to the rest of the world. ..."
"Livingston's" is fictional, but it's a composite of every bookstore I've ever known and loved. I suppose that story was, in part, my love letter to bookstores. "That morning and noon had been warm, though the stirrings of a feeble breeze made weather not flagrantly intemperate; but at about three o'clock in the afternoon there came out of the southwest a heat like an affliction sent upon an accursed people, and the air was soon dead of it." There's a PBS show called History Detectives, which I find riveting. (The only trouble is what it shares with all PBS shows: a tendency to play hide-and-seek with the viewer, disappearing just when I get used to finding it on a certain channel at a certain time.) In the show, researchers meet up with people who have objects that are supposedly of historical significance, and the researchers do what they can to find out the true stories behind the objects. Usually the objects are family heirlooms, handed down along with family stories, or else they're objects the current owner bought at a yard sale or found in the trash. A scrap of old film: What movie was it from, who are these actors, and what does this tell us about film history? A piece of cable found on the beach: Was it really part of the trans-Atlantic cable? A WWII-era dagger handed down through a family: Did it really belong to Mussolini? These are the kinds of questions they research. My husband has done a fair amount of genealogical research, and he has discovered something that the history detectives find as well: Oral histories are unreliable, especially when they've gone through a few generations of story-tellers. What we think we know about our family heirlooms and our families' pasts may not be what really happened. And yet, there is usually at least a thread of truth, and sometimes more than that. History Detectives is a great show for writers to watch because it deals with story. It takes a concrete, specific object and uses it to make larger points about society, history and culture. If the detectives are researching something from, say, the Prohibition Era, we find out all sorts of little-known facts about Prohibition, in addition to learning about the object in question. From the show, I've also learned about historic events that I hadn't even heard of before, such as the Black Tom explosion of 1916, in which spies blew up two million pounds of ammunition in New York harbor. The unexpected, the garbled, the sort-of-true, the not-true-at-all; the larger story behind the small details; the roles real people play in major historic events: this is writers' material. "When I stepped out into the bright sunlight from the darkness of the movie house, I had only two things on my mind: Paul Newman and a ride home." This is the first line of S. E. Hinton's classic YA novel, The Outsiders. It is also the last line. You may have heard that the seeds of a book's ending are in its beginning, that a good ending often carries echoes of the starting point. Writers rarely apply that advice as literally as Hinton did, but it is a concept that has been very useful to me. When I wrote the first draft of my second novel, it was about two-thirds the length that it is now, and it ended much earlier. When I started revising it into a second draft, I couldn't shake the sense that the main character hadn't really completed his journey, that something more had to happen. And I looked back to the beginning. There I found the seeds to a new ending--not only a new ending, but a new climactic event that was even more dramatic than the event I'd originally thought of as the climax. And now I make this a practice: if I have any trouble figuring out how to end a story, I look back to the beginning and search for seeds that I can water and bring to fruition. But I Love Him, by Amanda Grace. This contemporary YA novel starts with Ann, who has just been beaten by her boyfriend, and unfolds in reverse chronological order over the year she has been involved with him. How did she, a college-bound student with friends and an interest in sports, change into a girl whose whole world revolved around one person? And when did it change from something lovely and exciting into a relationship ruled by fear and regret? This book shows that there is no one moment when such changes occur, but rather there are threads and complications. There are good times that keep the main character hooked even when the bad times get worse. And most of all, Ann stays because of her intense sense of being needed. I applaud the author for not painting the abusive boyfriend as an unrelieved villain. I've never been a big fan of making any single character an embodiment of evil. I think that dividing people into a binary world of good-or-evil not only allows us to demonize some, but also blinds us to the evil that may be done by people who are otherwise charming. 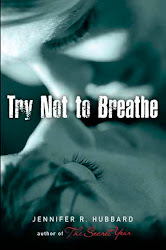 In this book, the boyfriend, Connor, is not just possessive, impulsive, and violent. He is at times depressed and needy; he is at other times sweet and understanding. He is not only a perpetrator of violence, but a victim. In other words, he is fully realized. If he were a full-time monster, he would be easy for Ann to walk away from. Instead, Ann has to sort through the complexities of her own needs, and to decide whether the forces that draw her to Connor can survive the pain of being with him. She starts out with a notion that her love can fix him, and that notion is severely challenged. In the end, while Connor's behavior is explained by the author, it is not excused, and this is Ann's story, with Ann's decision to make. The reactions to this story generally seem to fall into two camps: either the reader buys into the main character's worldview and sees his final gesture as important (if not noble), somehow necessary and inevitable; or the reader doesn't identify with the character and sees Sammy as shallow/ pitching an unnecessary hissy fit. "... my stomach kind of fell as I felt how hard the world was going to be to me hereafter." People often talk about how wonderful it is that young people are idealistic, at the same time they are desperately trying to cure them of that idealism, for fear they won't survive otherwise. And to me, this struggle between the nobility of idealism and the practical notions of survival--i.e., the acceptance that you may have to do things you don't agree with in order to put food on the table--is one of the central struggles of adolescence. It's one of many reasons I love to write and read young-adult literature. *Straightforward in style, that is. People certainly find depth in it, and argue over its meaning, but my point is that its structure and narrative line are not experimental in style. Last night, I went to a poetry reading because Kelly Fineman was the featured reader. I enjoyed Kelly's poems, as I always do, from the humorous spin on Robert Frost to the serious poems about changes in her life. I was tickled when she read a poem that came from our excursion to the Fine Arts Museum back in the spring. I've always admired her wordsmithing, and her skill at using strict forms (e.g., sonnets) to explore possibilities rather than limitations. Last night I also noticed her conciseness: no poem ever seemed to be a single word longer than it should have been. Aside from her talents as a poet, Kelly also knows how to structure a reading, alternating runs of darker poems with lighter poems, and building to a final poem and a final line that were natural sparks for applause. The ability to choose the right poem to end with was a skill also displayed by other poets who read later in the evening. I found something to like in all the poets' work, but aside from Kelly, the other reader whose work I found the most compelling was Anna Evans. Although the audience seemed to respond most strongly to a forceful poem about sexual harassment, I was generally enchanted with her careful attention to every word in every poem--even down to a description of handbags that compared their colors to flavors. Whenever I'm at a reading, or a concert, or any similar event, it always strikes me that this is humanity at its best: people coming together to create, to share. There is so much violence and apathy in this world, but when I see people pour their energy into art and community, it gives me hope. Different writing tasks require different amounts of time and levels of concentration. There are the simple promotional tasks: addressing postcards, sending out bookmarks. There are the slightly more technical tasks: updating websites, planning signings. There are the I-need-a-break moments: checking in on Twitter, commenting on a blog post. Then there are the tasks that require quiet, concentration, and uninterrupted blocks of time: preparing a critique, answering a thoughtful email, drafting a new book, revising on a deep level. This week I worked on an editing task that didn't take much time overall, but that time had to be spacious and unhurried. I needed to go over the kind of changes that require me to pay attention to rhythm, repetition, and consistency. I needed to concentrate, without the feeling of a ticking clock or the expectation of interruptions. I work tasks into my schedule according to the quality of the time as well as the quantity. Five minutes on my computer before I have to rush out the door is not the same as five unhurried minutes of quiet in my office, or five minutes in a doctor's waiting room, or five minutes on the commuter train. This is why I set aside certain days where I don't accept social invitations or chore-like appointments (medical check-ups, having the furnace guy come for the annual maintenance, etc.). Knowing that I have to be somewhere at a certain time affects the quality of the rest of the day, so I am careful to give myself free time that really is free in quality, whenever I can. You've probably heard that characters have to change over the course of a book. Usually, characters will reach a turning point in which they learn a lesson, or conquer a fear, or accept the inevitable, or break out of a pattern, etc. The challenge is to write such moments without leading readers to roll their eyes and say, "It never happens that way in real life!" And yes, few of us have apocalyptic battles with villains over the fate of the world. But people do have life-changing moments in which they decide where to go to college, whether to marry, or when to leave an abusive person behind. They decide to have babies, or stop drinking, or compete in the Iditarod, or join the Peace Corps, or enlist in the Army. Some of these changes are about taking the next steps in life, and some of them are about facing inner demons. The question is, how do those moments come about? Sometimes they're the result of a sudden shock: the death of someone close to us, for example. Sometimes they creep up on us gradually, as when an unpleasant job or relationship becomes unbearable. Sometimes a person changes in order to get something he wants. I can tell you the moment when I decided to apply to graduate school. I was talking to a friend about how I was "thinking" of doing it "someday," and she said, "You talk about this a lot. It sounds like you really want to do it." And I realized that yes, I did talk about it a lot, and it was time to stop talking and do something about it. My friend's remark was the trigger, but it was built on research and interest that had built over time. Much fictional change is like that: a desire whispers in the main character's ear, and grows through the course of the novel. The reader sees it building, like a pile of kindling. At the peak of the story, someone lights a match, and the change is both sudden and an inevitable culmination of everything that came before. In a book, the inciting event will usually be a little more exciting than a friend's comment. But sometimes, the drama is not so much in the event as in what happens to the character as a result. There are writers who've sold the first book they ever wrote. And I suppose there are writers who have sold every book they ever wrote. But it's far more common for writers to have several unpublished manuscripts lying about the house. Or stuffed away in a trunk--hence the name "trunk novels." Trunk novels remain unpublished for several reasons. These reasons fall into two categories: 1) the quality of the novel, or 2) the state of the universe market at the time the manuscript is submitted. The second category includes books that are esoteric, or out of fashion, or cover a subject that the market's already saturated with. It includes books that don't have a wide enough audience, or don't stand out enough from other books, even though they may be perfectly good reads in themselves. It includes works that just never find an enthusiastic enough champion to publish them. It also includes works of genius that are so innovative that publishers just don't quite know how to market them. Sometimes, projects that fall into the second category end up coming out of the trunk and having a new life when trends change, when editors turn over, or when the author finds self-publishing success. We all want to believe that our rejected manuscripts fall into the second category. This is natural, because nobody in her right mind sends out a manuscript unless she really believe that it's of publishable quality. And yet, I realize that the majority of my trunk novels fall into the first category. I wouldn't be surprised if many writers find, in retrospect, they have a project or two that wasn't as ready as they thought at the time. I have projects that never left the privacy of my own computer, because I didn't even need anyone else to tell me they didn't work. A book needs a plot. Bad stuff has to happen to the main character. The main character's friends shouldn't have more interesting problems than she does. If my book is just a blatant rip-off of an already-successful book, people are probably going to prefer the already-successful book. A setting should feel realistic. If a plot is contrived, it shows. A novel written from atop a soapbox is off-putting. Lots of stuff can happen to the main character, but at some point he or she has to take action. A story needs a beginning, a middle, and an end. At least one of those parts will be extremely difficult to write. I don't have to write what I know, but I'd better be able to fake it really well. (For YA) Stay true to the inner teen. Don't hide so much. Be brave. Don't worry so much about what people think. What have your trunk novels taught you? I've said this before, but every now and then I need to remind myself of it: I am not a word-count writer. I need to remind myself of this from time to time because the word-count mindset is so tempting. Word count is an easy way to measure progress. It's a number, hard and fast. Many writers do use word count to track their progress, or to serve as a goal. That's great, but it's not for me. I find that when I focus on getting a certain number of words down, I write crap. Also, since I revise so much, a day on which I've made good progress is often a day when my total word count decreases. I may add 50 good words and delete 175 lousy ones, and that's a step forward for the book even if it's a step back for the word count. I do pay attention to my total word count in a general way, just to make sure that what I'm writing will be long enough to qualify as a novel. I tend to write short (45-60K), and I like my first draft to be at least 40K, and my final draft to be at least 45K. But beyond that, daily word count doesn't matter. I'm going to write for an hour. I'm going to revise chapters three and four. I'm going to write the party scene and the thunderstorm scene. Do you set daily goals? What are they like? "It was strange to see someone you have only known alone begin interacting with other people, for that somebody known to you disappears and is replaced by a different, more complex, person. You watch him revolve in this new company, revealing new facets, and there is nothing you can do but hope you like these other sides as much as you like the side that seemed whole when it faced only you." The Penguin spring 2012 catalog is online, so this cover is now in the public realm. I thought I'd do a little show and tell, because so much of this blog is about works in progress, and struggles, and the neverending writing process, and it's just nice to have a finished product to show you every now and then. This book is indeed finished--although it won't be appearing for another six months, so this is the last I'll say about it until sometime in the fall. But for now, thank you all for sharing this ride with me. I like the way the designer incorporated rainwater, glass, and the waterfall, all of which are important elements in the story. 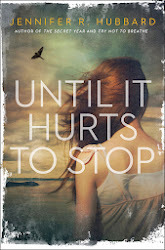 This is another contemporary YA novel with a male narrator, although he's different from the narrator of The Secret Year. Although he's outwardly more privileged, inwardly he's in much more trouble, I think. The short synopsis: In the summer after his suicide attempt, 16-year-old Ryan struggles with guilty secrets and befriends a girl who’s visiting psychics to try to reach her dead father. The preorder pages have started to creep out there onto the internet: Amazon, Barnes & Noble, Borders, Powell's (couldn't find it on IndieBound yet). But I'll put up complete links later. This book will now return to the wings, waiting for its cue to come back on stage, while I fuss with the manuscript that will hopefully become its younger sibling. Opening lines. Writers obsess over them, redraft them, searching for that perfect combination of introduction, hook, and stage-setting. I've analyzed eight openers from YA novels, below. It hit me when I was power walking on the treadmill at home, watching a Friends rerun for about the ninetieth time. --Randa Abdel-Fattah, Does My Head Look Big in This? We don't know what hit her, but something did. Something is about to change in this character's life. And since she's watching old reruns repeatedly, it sounds like she needs a change. The tone in this sentence is closer than comedic to tragic. Firsts and beginnings are a great place to start. And already this character has trouble. She is not rushing into high school with joy and anticipation. Is it just first-day jitters, or something more significant? We're about to find out. I raise my mini golf club and try to focus on the clown's chomping mouth. Other lips are on my mind, though--Bryan's, to be honest. Nothing wrong with romance! And there's humor, too, with the "clown's chomping mouth," especially juxtaposed with some (presumably) hot guy's mouth. The third time I tried to kill myself I used a rope. This is a classic lay-it-on-the-table opening. We know exactly what this book is going to be about: suicide. Maybe it's just a scratch. Willow Randall stares at the girl seated opposite her. Here's a more subtle opening, starting with a small mystery. A girl is curious about a small detail, an injury. We are being eased into a story in which the details will prove significant. Leah Greene is dead. Before my mother even answers the ringing telephone downstairs, I know. Another high-impact opening, with the second line introducing a mystery: how does the narrator know? Another opening with a slower build. But right away, we get the sense of absurdity, paradox, and puzzlement that characterizes the whole book. "There are places you can go," Ariana tells him, "and a guy as smart as you has a decent chance of surviving to eighteen." I sometimes hear people say you can't start a book with dialogue, and I don't know where that advice came from, but I disagree. Of course you can, and Shusterman does. This opener tells us someone is looking to escape from something--and it's a matter of survival. So we have conflict, mystery, and high stakes right away. My last entry included a playlist for a short-story anthology. This has gotten me thinking about the media cross-over we're undergoing. For years now, books have been turned into movies (and vice versa). We've had fanfiction and audiobooks. But now we also have book trailers, apps, playlists, blogs, and interactive media. For me, the book is still the best part. 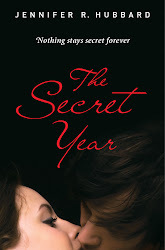 But I have to admit, when a reader sent me a trailer she'd made for The Secret Year, it was an honor and a thrill. Sometimes cross-media connections instantly suggest themselves. For example, I have long cherished a vision of Jack Kerouac's On the Road as a black-and-white movie, with its opening song being "King of the Road." I hear they're making a movie of it now, and I know some little part of me will be playing backseat director. Have you ever read a book and had an instant vision for a playlist, or a movie, or a trailer for it? This entry is just for fun: it's the playlist for the YA anthology Truth & Dare, edited by Liz Miles. I want to thank Christin, Louise, Pamela, Harmony, and Kari for their help with my part of the playlist. Sick to Death – Atari Teenage Riot Matthue says: One of the most hard-to-listen-to bands EVER. They're so loud and aggressive and straight-up furious. Not to generalise, but the only people I've known who like them are incredibly quiet, thoughtful, beautiful girls. This is probably the song that Jupiter's crush is listening to when he meets her. DatSkat - The Roots Matthue says: When I was in high school, the Roots were two a band with black guys and a white Jewish guy playing keyboards. This is the song that I always listen to when I'm walking down Market Street, past all the industrial bus terminals and the Gallery mall, and I start wanting really badly to dance. In Between Days – The Cure Matthue says: ...really this song is about a day like the day in this story. It's ordinary, it's boring, and then all of a sudden you're in a different universe. Do You Believe in Love – Huey Lewis Gary says: This was high on the charts during the months described in my story. Water – Holly McNarland Live! I've been pruning out adverbs and crutch words in my book. Crutch words are those phrases we rely on excessively without realizing it: maybe your character rolls her eyes every five pages, or shrugs constantly, or sighs like it's going out of style. Or maybe you've developed an unnatural attachment to the word "azure," and you find yourself using it describe the sky, the sea, the main character's eyes, his father's car, his girlfriend's tattoo, and the rug in his room. Or maybe it's the common words that spew forth from your fingertips with abandon: really, very, just. I use the latter words as emphasis, or to keep my rhythm going, but I overuse them in first drafts. During editing, I often cut out half of them (or more). I love cutting a word and finding it makes the sentence stronger. Yes, I find my joy in strange things, but I am a writer, and we are a strange crew. Give me just a little bit of time to deal with how I feel about that. Give me just a little time to deal with how I feel. Give me a little time to deal with that. Some of those words are unnecessary padding, and some of them may be right or not depending on the characters and the context. "Give me time," might be beautifully succinct or it might be terse. But the first sentence there is probably overdressed for any occasion.